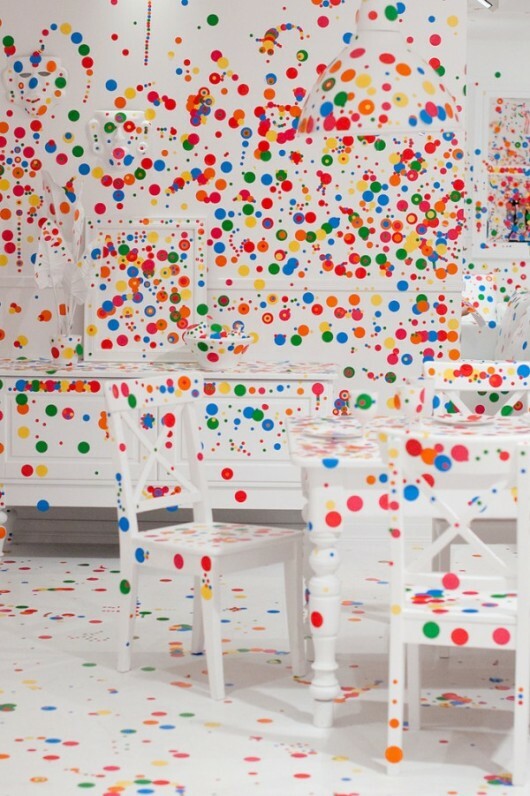 Yayoi Kusama: When kids are given stickers they do this | Shelby White - The blog of artist, visual designer and entrepreneur Shelby White. 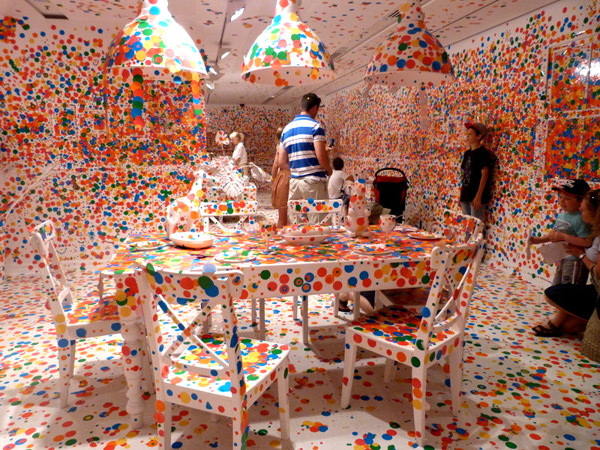 Seriously seriously wish that I had thought of this!! Although… how did the kids reach the ceiling to put stickers up there…? I saw this in person! 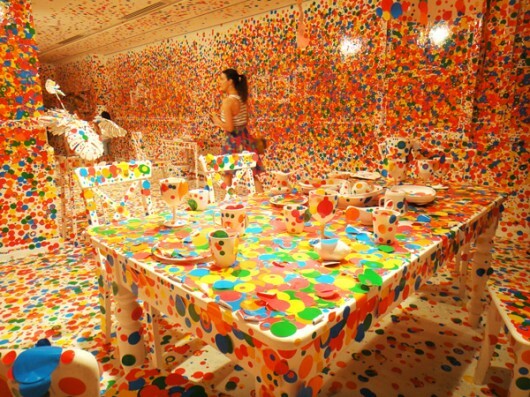 It was really insane, but so is Yayoi Kusama. 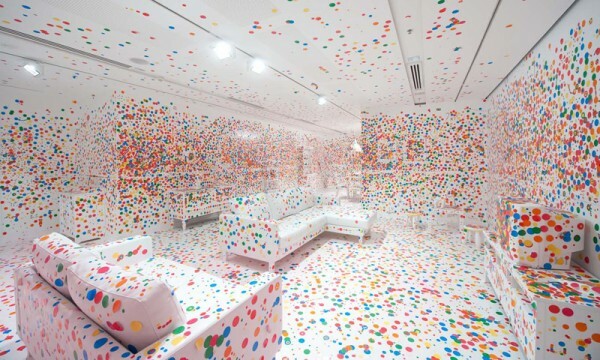 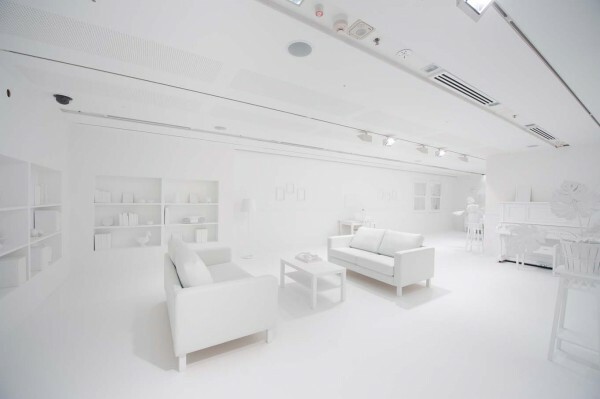 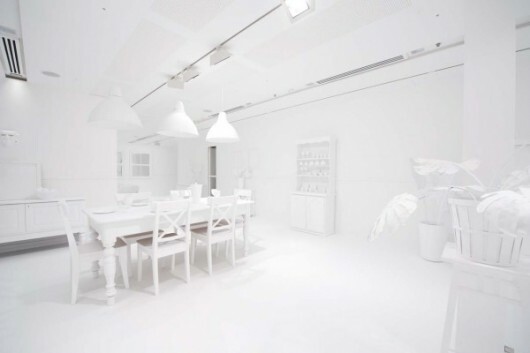 Wish they did a time lapse of this room. What made this experience for me was the audio chaos in addition to the visual chaos. 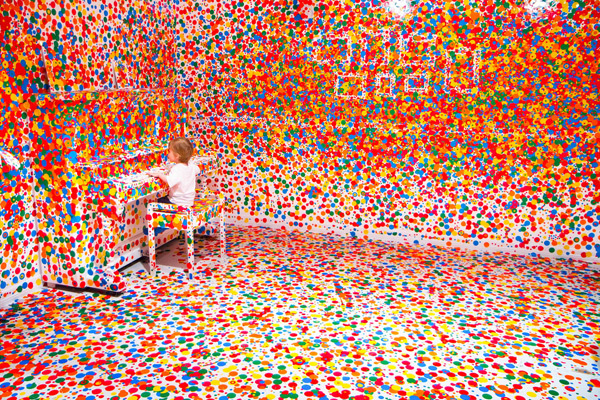 There was a piano (white and covered with dots) and kids were pounding on it throwing random notes all over the room. It was perfect.